There is, however, something else that embodies the character of the Poconos region: the towns and villages that are scattered throughout the area. Whether you’re looking for quaint places to wander around and shop, or interesting entertainment, the small towns of the Poconos have it. Here’s a look at just a few of these outstanding communities. 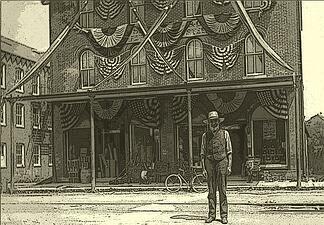 Stroudsburg and East Stroudsburg are the closest towns to New York City and offer an old-time America feel. There are outdoor outfitters, a music theater and even a few old-time Irish bars gracing their streets. 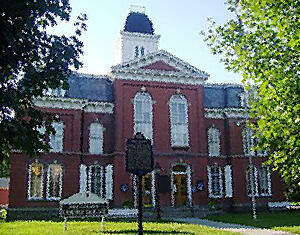 The town has a grand old courthouse surrounded by memorials and Colonial-era stone townhouses. Old Victorian homes line the streets where local children still play unsupervised on front lawns during the day. The Sherman Theater is a Mecca for music lovers and has hosted the Marshall Tucker Band and David Bromberg, along with comedy shows and hip hop artists. 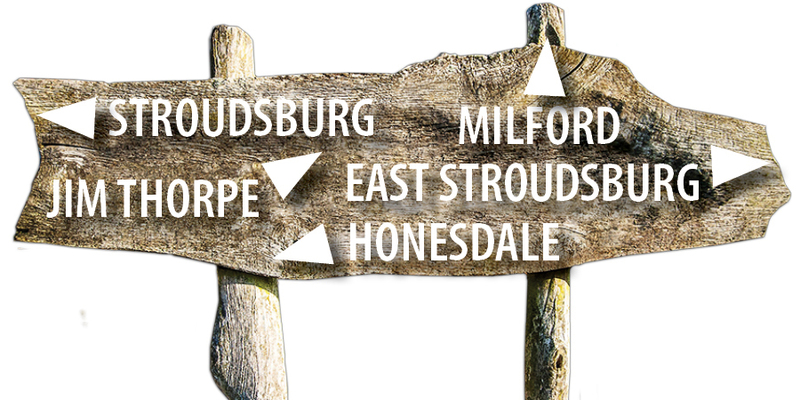 Learn more about Stroudsburg here! Jim Thorpe has a past rich in coal, folklore and American history. Originally known as Mauch Chunk (“Bear Mountain” by the Lenape Indians of the area), it was once one of America’s great 19th century coal towns. The town boasts an opera house, Richardsonian federal buildings, Greek revival mansions and small little stone house lined streets that remind visitors of Dublin, Ireland. Interestingly, Jim Thorpe (named after American Olympian Jim Thorpe—who did not live there, but is enshrined there) has almost the same population today (4,802) as it did in 1900 (4,020). Visitors can visit local art galleries, art studios and check out the town’s edgy burlesque scene. Jim Thorpe is one of the top destinations in the Poconos. There's plenty of activities to do inside and outside! From experiencing the natural beauty of the Poconos while hiking or driving to seeing a local show or going to a museum, you'll be sure to enjoy Jim Thorpe if you visit! That begin said, you might like it so much that you'll want to live there. 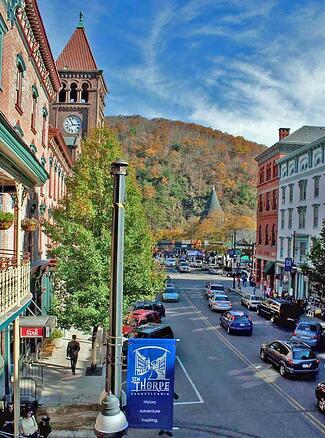 There's many great reasons living in Jim Thorpe could be right for you! Learn more about Jim Thorpe here! Honesdale, the birthplace of the American Railroad, is a great place to visit whether you’re in the mood to shop, dine, enjoy nature, learn, or simply explore. 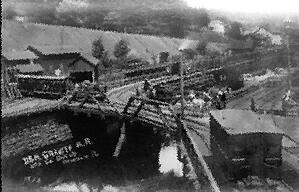 Honesdale’s rich railroad history extends back to 1829 when the Stourbridge Lion was brought over from England. It was the first steam locomotive to run on commercial tracks in the United States—and today a full-scale replica of the famous train sits in the Wayne County Historical Society’s Museum and Research Center. The Honesdale area is rich in architectural treasures from the 1800s, and boasts an abundance of fine retail and gift shops, cozy restaurants, and cafes. The town also hosts the annual Honesdale Roots & Rhythm Music and Arts Festival. 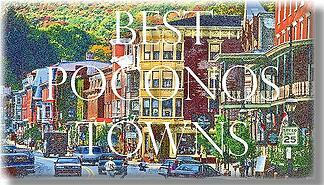 Milford was named by Budget Travel as one of the "10 Coolest Small Towns" in Pennsylvania. They called it "a little bit hip and a little bit homey." You can stand on the summit of the Knob (about a 45-minute hike) and gaze down from 400 feet above the town to take in spectacular views of the Delaware River and the village's Victorian homes and shops. The nearby Delaware Water Gap National Recreation Area draws kayakers and trout fishermen. Milford is also a top destination for arts and entertainment and is the site of the Annual Black Bear Film Festival and the Milford Music Festival. Nearby, you’ll find outdoor adventures including river sports, zip lining, and horseback riding. And if all this makes you hungry, there are plenty of places to indulge you appetite. Here are some great Dining opportunities. There’s something in the small towns and villages of the Poconos for everyone—whether you want to enjoy the outdoors, do a little bit of shopping, or enjoy a drink or a great meal in a town that’s a throw-back to days gone by!